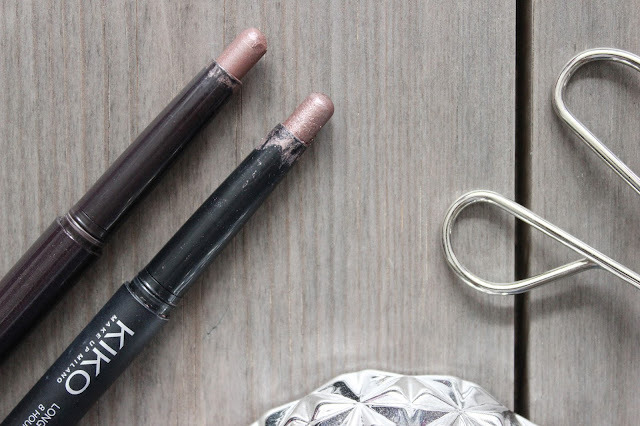 Listen up ladies, I've found an affordable dupe for the Laura Mercier Caviar Stick in Amethyst. 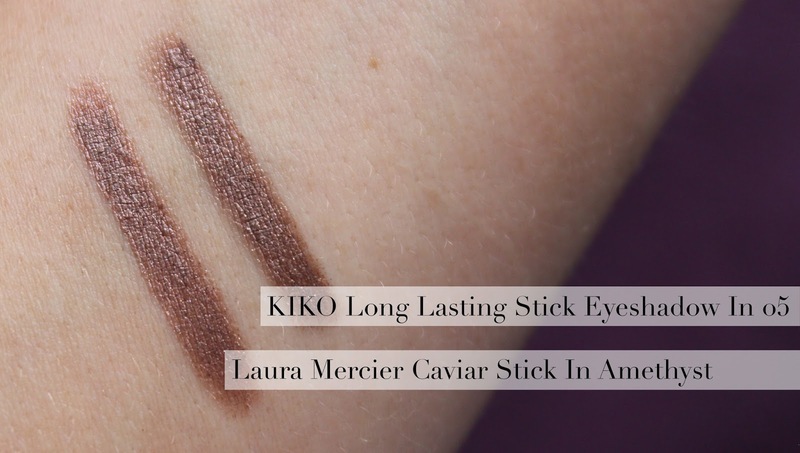 I picked up the cult caviar stick a couple of months back, but after returning home I soon realised how similar it is was my KIKO Long Lasting Eyeshadow Stick in 05 - the resemblance is uncanny! 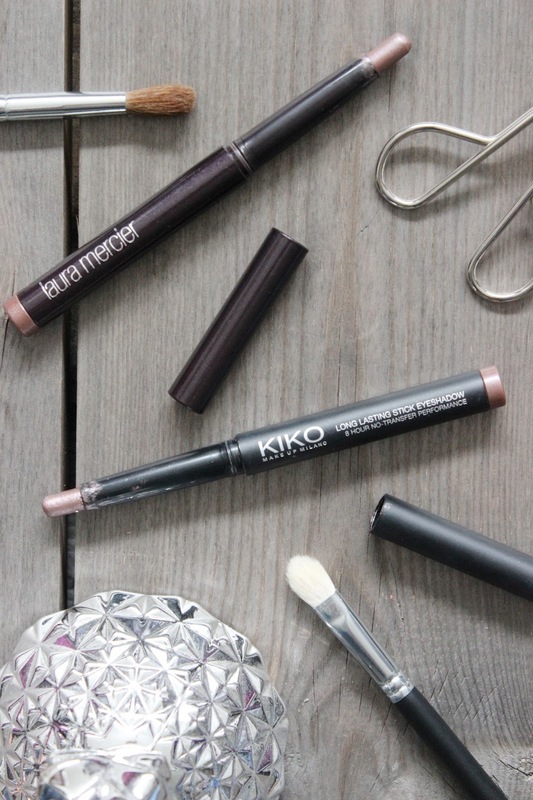 The Laura Mercier Caviar Stick and KIKO Long Lasting Eyeshadow Stick are popular beauty buys and it's not surprising, given how fuss-free, creamy, long wearing and convenient they are. Both eyeshadow sticks are packaged in a simple and sleek pen like design. Application is effortless, swiped across the lid they produce rich colours and can be blended with either a finger or an eyeshadow brush, before drying down to a long wearing finish. Although both formulations are very similar and crease resistant, the Laura Mercier Caviar Stick is a little longer wearing and has a smoother texture. But hold your horses, the shades are so similar. They are beautiful multidimensional, complex colours with a mix of purple, pink, brown and bronze. It could be argued the Laura Mercier shade has a stronger purple undertone, but in all honesty I struggled to tell them apart! With the slight formulation difference aside, there isn't much difference between these two eyeshadow sticks and I'll admit I feel a little frustrated having forked out £22.00 for the Laura Mercier Caviar Stick in Amethyst when the Kiko Long Lasting Stick Eyeshadow is so similar and priced at just £6.90.